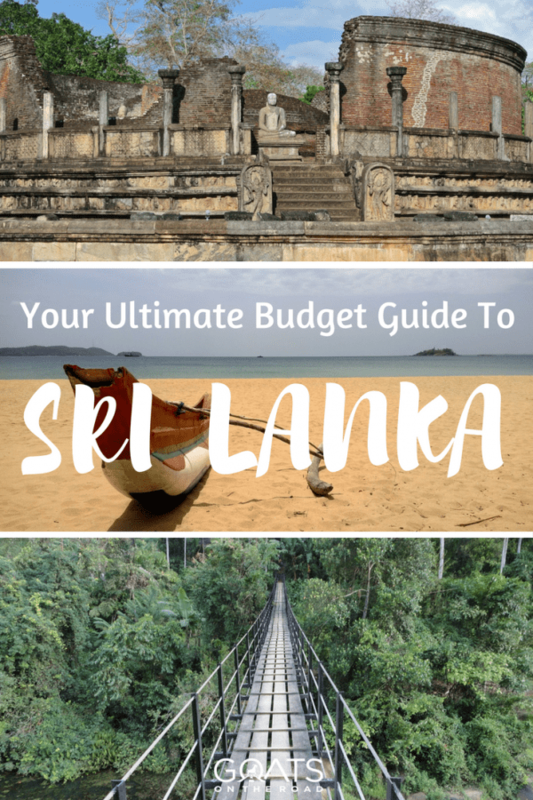 In this budget guide to backpacking Sri Lanka, you will learn everything you need to know about backpacking this beautiful country on a budget, including things that you’ll never find in your Lonely Planet Guide Book. Sri Lanka is possibly the most underrated country in the world. For such a tiny island, it packs in some of the best sites in the entire region. How Much Will Backpacking Sri Lanka Cost? This budget will be pretty comfortable for 2 people backpacking Sri Lanka with a close eye on their personal finances. It will afford transport, clean double rooms or bungalows on the beach, food and the entrance fees to most of the country’s sites. Expect to spend a bit more if you plan on flying around the country, and a little bit less if you stay in dorms. Backpacking Sri Lanka is delightfully affordable. There are some stunning rooms in Sri Lanka and most can be paid for on a backpacker’s budget. Despite the tragic events of the 2004 tsunami, builders have still opted to build the hotels so close to the water that during high tide, the sea laps right up into the restaurants. Although this construction strategy seems to lack foresight, it makes for amazing candlelit dinners at sunset with the warm Indian ocean tickling your toes. If you would rather book an apartment or stay with a host on Airbnb in Sri Lanka, why not get an Airbnb discount while you’re at it? Make sure you use our special $25 Airbnb Coupon Code and save money! The food in Sri Lanka is delicious. Sri Lankans seldom eat at restaurants (in our experience), so keep in mind that you may have to order your meal hours in advance. While backpacking Sri Lanka, you’ll notice that the food is a bit more expensive, and a bit more spicy than the cuisine of their large neighbour to the north, but it’s every bit as delicious. Here’s where Sri Lanka will get you. If you’ve travelled a lot, you may be used to “tourist pricing” for sites and temples. Well, Sri Lanka puts this term on a whole new level. Locals pay 35 cents for many sites, while tourists will pay upwards of $40. The government loves to pull in extraordinary amounts of money from the amazing ruins and temples in the country. Keep in mind that they are outstanding, and you only live once. The local beer, Lion, is an interesting mix of heavy hops and barley. It’s not to our taste personally, but beer is beer and we had a few while we were backpacking Sri Lanka. You can also find King Fisher and other imported beers around most touristy areas. Beers in restaurants will cost you around $2 and about half of that at the liquor store. Cocktails will be between $4-$6. Just like in India, tipping is commonplace in Sri Lanka. A 10% service charge will automatically be added to your food and hotel bills, but this almost always goes straight into the pocket of the hotel owner. An additional 10% is expected for waiters, drivers and tour guides, while bell boys and the guy who watches your shoes at temples will expect about 50 rupees. As of January 2012, new visa regulations in Sri Lanka state that you must apply for an online “ETA Tourist Visa” before entering the country. If you hold a passport from The Seychelles, Maldives or Singapore, you are exempt from needing an ETA and can get a visa for free on arrival. Visa extensions for up to 90 days are still quite easy to obtain. Extensions can be made at the Department of Immigration (011-532 9300; www.immigration.gov.lk; 41 Ananda Rajakaruna Mw, Col 10; 9am-4.30pm Mon-Fri), in Punchi Borella, Colombo. The last payments are received at 3.30pm. The department sets the cost in US dollars, but you pay in rupees. A visa extension gives you a full three months in the country and you can apply for your extension almost as soon as you arrive (the 30-day visa given upon entry is included in the three months). You can extend for an additional 3 months after your first extension if needed. If you prefer to get a little help with the complexities of the visas in Sri Lanka, check out e-visums.co.uk. They process nearly 12,000 visas per month and can often offer same day delivery of your visa. The applications can be filled out online at the link above and their prices are very good considering the fast turnaround. They also offer visas and ETAs for many other countries in Asia and around the world, making the visa research and application process a lot easier for travellers. You’ll pay a bit extra for the service, but you can save yourself a considerable amount of time and headache trying to figure out what paperwork, flights, photos and documentation you need for your visas. Sri Lanka has numerous places that tempt the adventurous backpacker. There are amazing temples, ruins and old towns, beaches, coves, waterfalls and a long, interesting history. 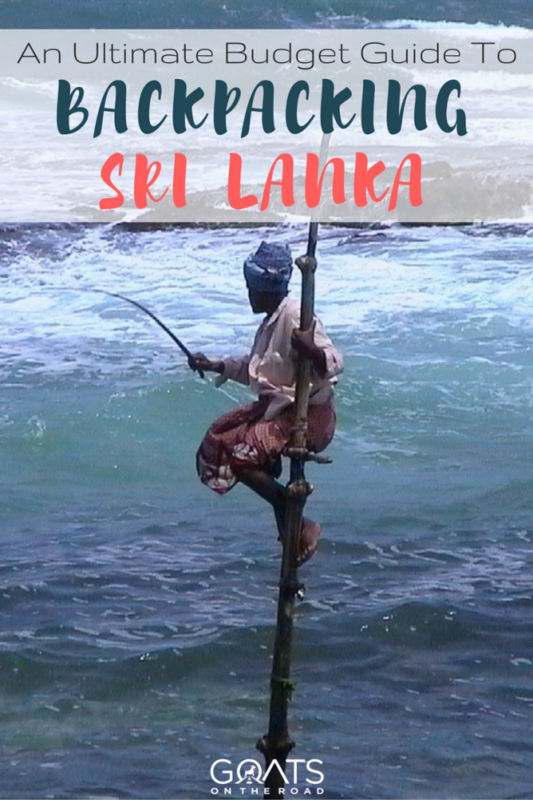 We could never list all of the must see places here, but we will list a few definite highlights that will make for a great backpacking trip to Sri Lanka. Ella is a beautiful mountain town where you can spend your mornings sipping coffee from the patio of one of the hilltop guesthouses overlooking the hills. Your days can be spent hiking to memorizing waterfalls and through the many stunning, green tea plantations. Not too many tourists come out this way so you’ll usually have the trails to yourself. This is by far our favorite beach in Sri Lanka. Quiet, romantic and absolutely stunning, this beach stretches on for kilometers. There are hotels and restaurants right on the water (although many of them were demolished in 2011 for being illegally built too close to the sea). This is the funkiest, most relaxed beach in Sri Lanka. Kandy is another cool little town which houses one of the most religiously important Buddhist relics in the world, Buddha’s tooth. It is said to have been stolen from the cremation fires of Buddha’s funeral pyre and brought to Sri Lanka for safe keeping. The tooth lies inside a stunning Buddhist temple and is guarded religiously. During the Kandy Esala Perahera Festival in July and August you may get a chance to catch a glimpse of this sacred relic. 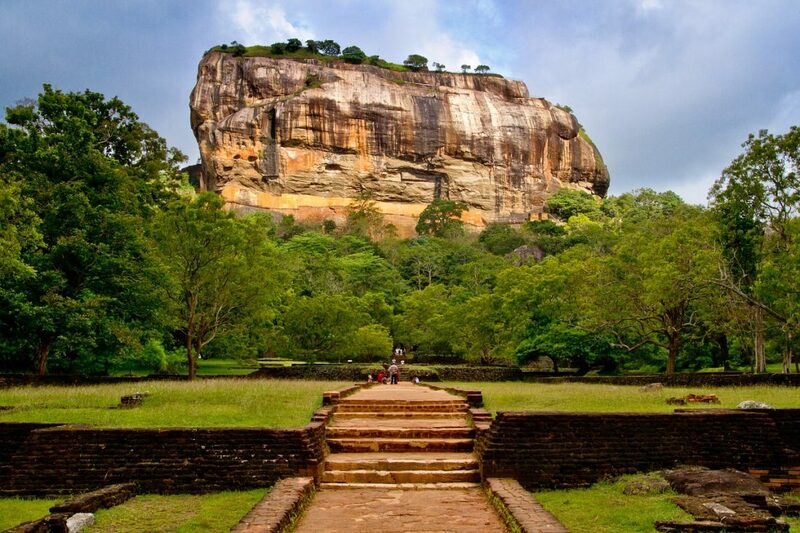 Sigiriya (Lion’s rock, Sinhalese – සීගිරිය) is an ancient stone and rock fortress and palace ruin in the central Matale District. Surrounded by the remains of an extensive network of gardens, reservoirs, and other structures, this is the most awe-inspiring site in all of Sri Lanka. The massive carved rock shoots up from the surrounding farmland and appears out-of-place. It is thought to have once been a mountain fortress monastery but still no one is sure of its historical purpose. There are massive animal effigies cut out of the rock including a remarkable Lion that guards the entrance to the tip of the palace entrance. Just outside of Dambulla town is the largest and best-preserved cave temple complex in Sri Lanka. Carved from a rock that towers 160 m over the surrounding plains, there are more than 80 documented caves in the surrounding area. Major attractions are spread over 5 caves, which contain statues and pagodas. These paintings and statues are related to Buddha and his life. There are a total of 153 Buddha statues, 3 statues of Sri Lankan kings and 4 statues of gods and goddesses. 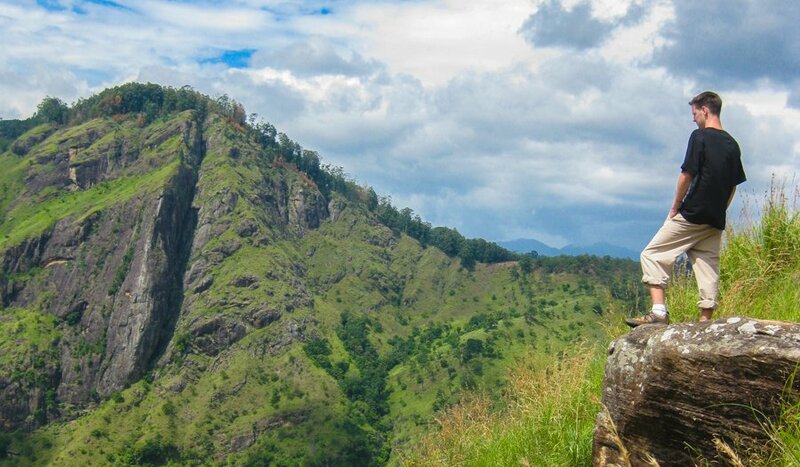 This is a 2,243 metre (7,359 ft) tall mountain located in central Sri Lanka. It is well-known for the Sri Pada, i.e., “sacred footprint”, a 1.8 metre (5 ft 11 in) rock formation near the summit, in Buddhist tradition it is thought to be the footprint of the Buddha. Access to the mountain is possible via 6 trails (Ratnapura-Palabaddala, Hatton-Nallathanni, Kuruwita-Erathna, Murraywatte, Mookuwatte & Malimboda). Out of these the Nallathanni & Palabaddala routes are the most popular. Kuruwita-Erathna road is somewhat popular as well. The ascent is considered a holy pilgrimage by many, so be respectful and do as the locals do. During the pilgrimage season (December until Vesak festival in May) candles light the way and it is best climbed in the dark of pre-dawn. The busiest period is January and February. At other times the temple on the summit is unused, and between May and October the peak is obscured by clouds for much of the time. When the sun begins to dip into the sea and illuminate the sky with pinks, reds and oranges, you’ll be drawn to the shores. Many of the beachside restaurants in Sri Lanka are built so close to the water, that you can have candle lit cocktails while the warm Indian ocean soaks your toes. Backpacking Sri Lanka can be very romantic! Enjoying Sunset Cocktails Is An Excellent Activity In Sri Lanka. If you’re like us and cricket makes absolutely no sense to you, don’t worry, the Sri Lankans don’t care. Ask to join one of their games or just stand on the sidelines and wait to be invited in. It’s a great way to make some friends and learn a bit about this confusing sport. No matter how long they explain it, you probably won’t get it (depending on where you’re from), but just swing the paddle and try to hit the bouncing ball… it’s a blast! The old rickety buses and trains (donated by Canada) are an exciting and scenic way to see the countryside. Many locals speak English in Sri Lanka, so enjoy good conversations with new friends over a hot cup of chai (tea) along the way. Backpacking Sri Lanka by bus and train is definitely the best way to get around! There are some beautiful reefs off of the shores of southern Sri Lanka where you will see an abundance of healthy coral and fish life. Don a mask and fins and head out on your own and spot rays, eels, cuddle fish, puffers and maybe even turtles! By far the best way to get around in Sri Lanka is on a motorbike or moped. They can be rented just about everywhere for as little as $8/day and they will give you a lot of freedom that buses and trains lack. If you’ve never rode a motorbike before, don’t worry, it’s like riding a bike. Just take a spin around some quiet roads a couple of times to get used to it and you’ll be fine. Many people rent motorbikes in Colombo and tour them around the entire country. For this we’d recommend a real bike and not a moped because the hills in central Sri Lanka are very hard to climb, even for tuk-tuks! There are loads of ruins and temples in just about every town in Sri Lanka. In fact, Sri Lanka boasts more Unesco World Heritage Sites per kilometer than just about anywhere on Earth! Some of them are free to enter, but most will be expensive outings due to tourist pricing. Ask locals about little hidden gems that will likely be free and authentic. The spicy, delicious food in Sri Lanka is actually quite fun to make! Ask around and find yourself a cooking class and you can learn how to create these tasty delicacies so you can cook them upon your return home. Make sure to ask other travellers about their experiences with the teacher, as some will just cook everything while you watch, rather than actually teach you anything. Sri Lanka itself is already a fairly off the beaten path destination, so by just coming here you’re bound to find places to yourself. But if you’re really adventurous, you’re going to want to find somewhere that few other people go. For this, you’ll probably want to head north or east. 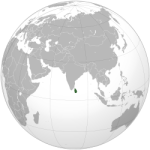 Jaffna is one of the oldest inhabited cities in lower south Asia. Due to its past isolation to western influence, it remains a very authentic and intriguing place to visit for the few travellers who make it this far north. Its old colonial suburbs and war-torn central infrastructure can make for interesting city walks, but this place is more about people watching and mingling with the friendly Tamil population. They will likely be very surprised and excited to see you. Most people in Sri Lanka head to the hilly central region and then directly south, meaning that the eastern region is left virtually untouristed. 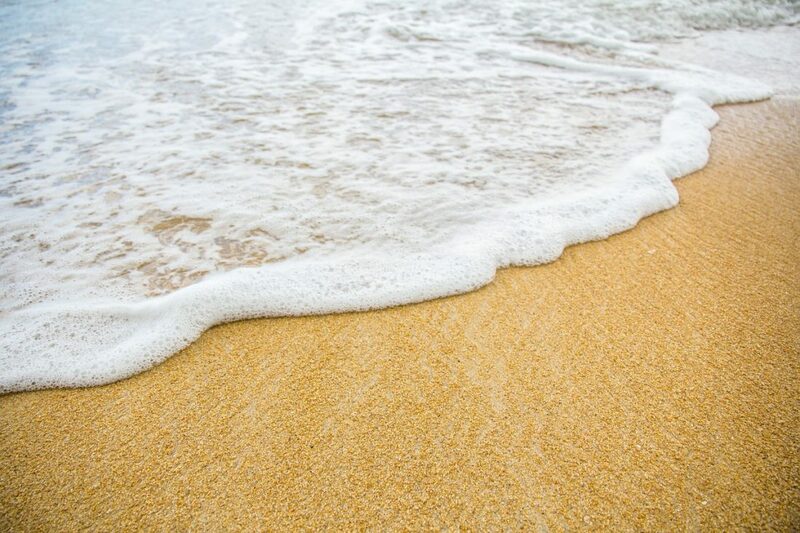 The main attraction here is the surfing beach of Arugam Bay, but other beaches around Batticoloa and Trincomalee, offer some good swimming and sunbathing in a relaxed atmosphere. If you’re here in the dry season, consider spotting elephants at Ampara. Sri Laka is just starting to appear on the backpacker’s radar so now is the perfect time to visit! There are a lot of reasons to travel to this teardrop shaped island. Sri Lanka has been called the best island of its size in the world, and for good reason. Pound for pound, acre for acre and beach for beach, Sri Lanka is one of the most amazing places we’ve ever visited and always appears on our lists of favorite islands. Here are some of the pros of backpacking Sri Lanka. There’s just something special about being somewhere that few other tourists venture and Sri Lanka still has that allure. It’s so blissfully untravelled that you can easily find your way off the beaten path and really get into some authentic culture. Just like in India, mingling with the local people and making friends in Sri Lanka is easy. The laid back local communities are always willing to let you into their circles and are delightfully curious about foreign visitors. If you know anything about cricket, then you’ll probably have plenty to talk about with the local men. Prices are increasing in Sri Lanka, but it’s still a very affordable place to visit. It’s much more expensive than its northern neighbour (but where isn’t?). Tourist pricing to sites will be your biggest expense, but hotels, buses and food are still of great value. Although it can be a bit difficult to eat when your hungry (order 2 hours in advance) the food is delicious in Sri Lanka. Depending on where in the country you are, and which time of year it is, it can take a long time to order, but that’s because the curries are fresh and made to order. It’s like having a home cooked meal every time you eat in a restaurant! We’re really reaching for cons here! Although waiting for your meal isn’t a big deal, it does get annoying when your really hungry. If you have the foresight, consider ordering breakfast, lunch and dinner all in the morning and just return at a predetermined time for each meal. It’s a good idea to drop in for a reminder, just in case the cook falls asleep. Perhaps nowhere else do foreigners pay so much more than locals for sites and temples. It can be frustrating to see such a discrepancy between fees for locals and foreign visitors, but keep in mind that it’s official and there’s not much you can do about it. More and more people are making their way to Sri Lanka each year, and although more people are realizing the island’s beauty, they are often a more mature, well-travelled crowd. Many people rent holiday homes just off the water along the southern shores and they sometimes have a great understanding of local culture and customs. It’s good to meet these types of expats and travellers as they can teach you a thing or two about the country (and maybe even invite you back for dinner!). There’s not really the Southeast Asian budget backpacking crew here, and those that make their way to Sri Lanka are generally more laid back, intrepid and older than the bucket swilling full-mooners of Thailand and Laos. India, China, UK, Germany, France, Maldives, Australia, Russia, USA and Canada. Sri Lankans are friendly, kind and genuine. They’re always curious and interested in their foreign guests and love to include travellers in their conversations. They are aware of the potential that tourism has in the country and they see visitors as proof that Sri Lanka is a great place. This is reflected in the pride that they have for their country, its history and its culture. When backpacking Sri Lanka, it’s easy to make friends! The official local languages are Singhalese and Tamil. Sri Lankans may not speak English as well as Indians, but there will rarely be a time when you can’t communicate. English is widely spoken (10% of the population is completely fluent) and street signs and menus (at touristy restaurants) are always bilingual. Sri Lanka is pretty well-connected by old rickety buses and hand-me-down Canadian trains that make for fun transport around the country. Buses and trains are cheaper than anywhere else we’ve been, and despite destinations often written on the bus in Singhalese or Tamil, you can usually find a driver who speaks English and can direct you to the right bus. Tuk-tuks and taxis are also a good way to get between towns but they will be considerably more expensive than buses. A taxi from Ella to the southern coast will be around $50 while a bus will be less than $5. Sri Lanka is a very easy place to visit and there aren’t too many regulations to follow before arrival. The new visa situation isn’t ideal, but it’s still very easy, especially compared to recent bureaucracy procedures in India. There are no required vaccinations and no hassles entering the borders by land or by air. The biggest health risk in Sri Lanka is probably food poisoning and traveller’s diarrhea. There is a risk of Dengue Fever. Sleep under a mosquito net and wear repellent. As of 2016, Sri Lanka has been listed as malaria free. We would suggest packing a medical kit that includes some antibiotics for traveller’s diarrhea, Peptol Bismol for upset stomachs and Paracetamol for hangover headaches, and fever. Be sure that all medications are in their original marked containers to avoid problems with immigration officials. Many tourist restaurants and hotels offer free wi-fi in Sri Lanka. The internet can be slow in rural areas, but it should be sufficient to check emails. Make sure your smartphone is “unlocked” before coming to Sri Lanka, and purchase a local SIM card when you arrive. A popular company is Mobitel which has good coverage and reasonable rates. You can pick up a SIM card at the Colombo airport and at many shops around the country. The best time to visit Sri Lanka is during the dry seasons from December to March for the west coast, the south coast and the Hill Country, and from April to September for the ancient cities region and the east coast. December through March is also the peak tourist season and although accommodation prices do go up a bit, the crowds won’t ruin your trip. July/August is the time of the Kandy Esala Perahera, the 10-day festival honouring the sacred tooth relic of the Buddha, and also the time for the Kataragama Festival in the South. During these times, you’ll want to book your rooms well in advance. Sri Lanka is well deserving of this 9 star rating. It’s a truly amazing place that will stay in your mind and in your heart for long after your return home. The people are friendly, the food spicy, the sights intriguing and the beaches long and white. What more could a backpacker ask for? love this post…thank you…we will be in Sri lanka for a month on the tail end of a 4 month stint…this was all the information i was looking for in an easy format. Thank you so much for your comment! We’re really working on continually improving the information and layout of these travel guides. We hope to have one for every country we’ve visited! Enjoy Sri Lanka! Thank you for writing this! How long did you stay in Sri Lanka and how long would you recommend staying for? We stayed for 3.5 weeks. This is a good amount of time to see the entire country, but may we suggest going south last because it’s so beautiful that you probably wont be able to leave! We always recommend longer trips in countries. Sri Lanka is small so 2 weeks minimum. A lot of people just go there once and then pack up and move! Glad we could help! Sri Lanka is an amazing place. Cheers for the comment. Some great tips for travel around Sri Lanka. I never managed to make it to Unawatuna beach which sounds amazing, maybe next time. I think Sri Lanka makes an excellent low cost backpacking destination, especially for the older travelers like me. We agree, Sri Lanka is a great destination for people on a budget, people of all ages and people who love beaches, scenery and culture! Tiny Sri Lanka has it all, and then some. Well its a great article..But let me correct you..Sri Lanka is 75% Sinhalese(and Buddhist) and 90% of the Sri Lankans speak Sinhalese NOT tamil..Only about 12 % speak Tamil and Tamils too can normally speak Sinhalese.Tamils came to Sri Lanka from southern part of India (Tamil Nadu)..Sinhalese are the main ethinicity and lived in Sri Lanka for 3000 years thus our culture , temples , architecture everything is based on Sinhalese/Buddhism.Sri Lanka is also the only country where Sinhalese live. Having said that 90% of the Sri Lankan immigrants in Canada are Tamil. I am not being racist here just that calling Sri Lanka tamil is like calling England or Canada, Tamil or muslim..I am sure most ENglish people will go mental if you reffer them as a muslim or tamil country..We are no different ! We are Sinhalese and we speak Sinhalese..Others (15%) are all immigrants (muslims , tamils , arabs , kaffirs , malays etc). Hey Dharshana, Thanks for picking up on that. Where it had said “the official language is Tamil” we changed it to say “the official languages are Tamil and Singhalese” according to Wikipedia this is correct. If someone called Canada Tamil, I wouldn’t go crazy, I would agree that we have a large portion of Tamil people as well as many other ethnic groups that make up our fabulously multi-cultural nation. We meant no disrespect by our typo and I hope you can accept our apologies if we have offended you or your people. It was all going fine until the STUPID advice about anti Malarial pills….Malaria Kills people. Stupid , stupid , stupid. Hello Andt, We appreciate your comment and concern but I believe your information on Malaria in Sri Lanka is either incorrect or simply out-dated. We would never recommend something that would put our readers in danger. Malaria has been nearly completely iradicated in Sri Lanka and some studies show that there will be 0 cases of Malaria in Sri Lanka in 2014. Malaria pills (although pushed by physicians) can be dangerous and often cause nasty side-effects. We only offer our readers our opinion and expertise in matters that we have researched and personally tested. If you are unclear as to the current Malaria situation in Sri Lanka, we urge you to read THIS ARTICLE AND STUDY conducted by the University Of San Francisco. We thank-you for your comment and hope that you will rethink using Malaria pills in areas where there is no malaria. I am a srilankan/canadian. Getting infected with malaria can be rare but it happens. A friend of mine a doctor got infected after a trip to Udawalawe national park and he finally died due to a miss diagnosis. My sister in law living in Canada hopped to srilanka for a week on route to Australia. She fell ill in Australia and nearly died. They found her with dengue fever after number of days as doctors in Australia did not have much experience with dengue fever. This had been the 2nd case in Australia. Her medical bill was around $10,000, lucky they had medical insurance. I have lived in northern Nigeria for 5 years, had anti malarial pills for first 3 months and gave up, I never got malaria, but my daughter got it. Chances can be rare but happens. I travel to Sri lanka often get bitten by mosquitoes but so far nothing happened (touchwood!). So I think it is all up to the individual to take pills. As you indicated sprays, mosquito nets are indispensable. Thank you for the great information on this controversial topic. It is 100% up to the individual to decide whether or not they wish to take the anti-malarial pills. We personally did not but slept under mozzie nets, stayed in our hut for the “mosquito hour” just as the sun is setting and wore mozzie spray. As there are no pills for dengue fever, if you feel sick after leaving a tropical country that has these types of diseases, it’s imperative to mention where you’ve been and what kinds of diseases you know of that are there. Western doctors don’t know about every disease in many tropical places. I’m glad to hear your sister-in-law, daughter and yourself are all healthy and well and I’m so sorry to hear about your friend. Happy and healthy travels to you. We stayed at Peacock Hotel. It was great. We had a room on the top floor with spectacular views! When we were there it was about $15/night. The staff was really friendly as well. Yes, enjoyable article to read. Despite the fact that under costs it’s Thai baht and the local bus is a Thai bus. Thanks for adding this information Salika! We loved our time spent in Sri Lanka and definitely liked Kandy! Agree with Salika. Waiting for food in Sri Lanka never happens at the local plazes. Not even 5 minutes usually. Don’t waste your time and money in tourist places and get some local food. The local places are called “hotel” for some reason and they are everywhere, in every little town at every corner in Sri Lanka. They serve hoppers, string hoppers, roti and curry in the morning, rice and curry for lunch and kottu for dinner (very loud preparation). You can get short eats like egg samosa or veg roll with tea/coffee all day. A meal is less than 200 Rs (1.50 USD), a coffee about 30 Rs (0.25 USD), a coke never more than 50 Rs (0.40 USD). Now I’m hungry! Thanks for sharing this info Florian. The places we found we waited were in Unawatuna and in Ella, mind you, we were there in the off season so they were cooking to order at that point. The food was well worth the wait though…is there anything better than freshly prepared curry?! Great post! My sister and I are planning a 2 month trip through SE Asia next year and we had no idea where to start, but your site has helped a ton. We’re trying to decide between Indonesia and Sri Lanka and can’t figure out which one. Have you been to Indonesia? I couldn’t find anything on it, but which would you recommend for two, college age (aka low budget), east coast girls who love exploring different cultures? Thanks again! Glad the site could help! We have been to Indonesia when we were younger (24) and we absolutely loved it. We loved Sri Lanka too but for low budget travel Indo is a bit better value. Also, there’s a ton you can do in Indo like waterfalls, volcanoes, diving, partying etc. Probably go for Indo guys! Enjoy! Hey guys! Love your site. My boyfriend and I are looking for a 2 week trip the last 2 weeks of November. We were originially thinking of Thailand and Laos, but we have been to Asia multiple times before (lived in Thailand), we think maybe we should try Sri Lanka. November does not appear anywhere in your weather information, do you think it would be a mistake to go then? Otherwise, I got super excited by your post and we are really leaning towards Sri Lanka! Hi Maya, thanks for the kind words! Sri Lanka is a great country to visit. Typically June & July and October & November are the monsoon months. However, with the weather being so unpredictable these days, it’s really hard to tell what kind of climate you would have. We were there in October and had some rain in Kandy, but then pure sun down at the beach in Unawatuna and in Galle. Clouds and sun in Ella. Since Sri Lanka is so small, you could just have a look at which area of the country is dry and head there! Thanks you guys so much for a great and informative article! Very helpful in our planning of travelling to Sri Lanka! Hey, great website you have! I was wondering if you can tell me which places you stayed in Ella and Arugam Bay as I can’t really find hostels for those places. As I’m a girl traveling alone I prefer to stay in dorms and meet other people but this seems very hard in Sri Lanka. Hope you have some information for me. You’re right, there aren’t dorms in Sri Lanka – that we know of! On the beaches, stay in huts/bungalows and you’ll meet other travellers there. In Ella, we stayed at a small place that was listed in the Lonely Planet guidebook. Make sure to get some sort of guidebook, it’ll list places to stay around the country. I hope this helps. Have a great time! Hey! This website is wonderful and extremely helpful. My husband and I are trying to plan a trip beginning in south India, Sri Lanka, and ending in the Maldives. We plan to go December/January time.. Do you think it’s necessary to book all hostels/hotels before? Or as you go along you chance upon interseting lodgings? Also, have you been to the Maldives? Unfortunately, we haven’t been to the Maldives….yet! I think the train trip from Colombo to Hill Country (Nuwara Eliya etc.) is an attraction on its own. You get stunning views of the land, mountains, waterfalls etc. I think they are useful to any would be traveler. Thanks for your comments and photos of Unawatuna. Hey Goats On The Road! Great post! We are thinking of Sri Lanka this year for Christmas and New Year. How long would you plan to see the country? Make sure you book your accommodation ahead of time during the holidays – things can book up well in advance. We spent 3 weeks in Sri Lanka but could have spent longer. I guess it depends on what you are interested in seeing? I’d say 3 weeks to a month to cover all of the ancient sites, beaches, mountains and cities. Enjoy your trip. Let us know if you have any more questions. Thanks for the comment and the suggestion to add a getting to/from section! We’ll look into that for sure. I think that flying from Chennai is the best way. That’s what we did actually and it was the cheapest we could find. I guess depending on where you want to be in India/Nepal, it may be worth it to fly? I found a flight from Delhi to Kathmandu on Jet Airways for $73, not too bad. I hope this helps somewhat! Enjoy your trip…we love India, Sri Lanka and Nepal. Thanks for the validation for flights from chennai and for the advice into nepal, much appreciated. $73 from delhi isnt bad considering the overland headache, ill look into that for sure! I’ve read pretty much all the goat guides, especially impressed with the india guide! Doing laundry in Sri Lanka is easy. We used to hand it into our guesthouse to have them wash it and dry it for us. Or, you could wash it in your sink – but bring a universal sink plug. Hey, thanks for all the advice. How much dI’d you pay for laundary 200? Hi! Thank you so much for your blog! I’m coming with my partner next week for three weeks. I’m confused…there are so many things to see…! My main worry is public transport and timing. We don’t want to rent car with drivers, which are too expensive for our budget, and we are thinking about renting motorbikes here and there. Do you need an international driving permit also for that? I know you need it for the car, but we don’t have it. Are they easy to find? Also…could you suggest us the better national parks? We’d love to see elephants and hopefully bears, then crocodiles and monitor lizards. I think birds are everywhere. There are many tourist places with high entrance fees, so we need to visit just one park (because we need then to add Sigiriya, Dambulla, Polonnaruwa and Anuradhapura –> too much? do we get sick of temples??). Thanks and enjoy your next trip!! We didn’t rent a car there, we took public transport everywhere. Buses and trains were our mode of transport. Friends of ours rented motorbikes no problem and loved it! They highly recommended it. I’m not sure about needing to have an International Driver’s License. We’ve never had one when renting scooters in Asia. But we did have one for our other trips through Africa and Europe. To get one, just go to your nearest registries office and apply for one. It’s a very simple process, you just bring your current license, the fee and it’s valid for a year usually. Check out this link for a list of national parks: http://www.srilankatraveller.com/places-of-interest/national-parks.php It looks like Yala Park is the one to go to for bears and elephants. Keep in mind that the entrance fees for Sigiriya, etc. are quite high. It’s about $35 for Sigiriya! But no, you won’t get sick of temples I don’t think. They’re all very unique and in beautiful settings. I’m going to Sri Lanka in 3 weeks. Our first destination is Colombo, and i was wondering, if you have any suggestion on where to stay in Colombo? What area? Do have you have a place you can recommend? In Colombo, we actually stayed at the YWCA, which was great, but didn’t really have any sort of travel vibe. There are lots of hotels and hostels available on these sites. I hope this helps. Enjoy Sri Lanka, it’s a great little country! Yes, we spent $50/day for two people. For one person, if you stay in hostels, eat cheap food and take local buses, then between $30-40 would be a good budget. If you are going to stay in double rooms by yourself, then it’ll be more towards the $50 budget. I’m not sure I quite understand what you mean about “people need to deal with crushing traffic around Colombo and elsewhere” I’m sorry to hear that you thought the traffic was so horrible that you ended up cancelling your trip! When we were there, there was no problem renting a motorbike or moped. In fact, friends our ours were just there last year and rented a bike. They cruised up the coast of the island and had a fantastic time! I’m not sure though if that involved them going on the highways or not. I will look into what you have said and make any necessary changes to our guide. Thanks a lot guys! Wonderful overview, and quite a confidence booster for what is headed my way. Many cheers! You’ve convinced us… Two weeks flights book end of October into November. We can’t get much more leave from work but plan to bagpack and see as much as we can! You’ll have a great time. We were there in October actually, turned out to be a good time of year. Enjoy Sri Lanka, it’s a great country. Actually sri Lanka is place of enchanting and beauty. it’s unique for traveling. your article is highly informative about Sri Lanka and what’s the cost of traveling inSri Lanka. Thank you 🙂 We really enjoyed travelling there. Wow, that’s one good post! Planning to go there in September for a 2 weeks. Great! Glad we could help 🙂 Enjoy your trip, Sri Lanka is awesome. Cheers. I leave for Sri Lanka in a couple of days and would like to rent a Honda Baja 250CC and hit the tracks for a day, maybe two. Can you tell me which tracks are most quietly with good roads? I don’t have a driver’s license, but know how to ride it (took a tour in Cambodia for 2 weeks), can this be a problem? Can you really hire a motor cycle in Colombo and take it all the way to maybe, Galle? I have heard that the drive along the coast is super beautiful. For the motorcycles, do you still need to have the international driving license et all? Thank you So much. Great article. Some people love complaining about nothing. You’re advice mine to take or leave. Can’t wait to see this great country!! My friends are from Kandy so ill have a personal guide on our trip! Great site thank you! I would also recommend AirBnB if you want to find cheap accommodation in Sri Lanka. There are also many home stays listed here – its much nicer than staying in large hotels. Did you climb Adam’s Peak? If so, what trail did you pick and what kind of shoes/clothing in general would you recommend? I am leaving for Sri Lanka in a month and Adam’s Peak is one of the places I definitely want to visit! Thank you SO much for this article. I have been trawling the internets for weeks researching our upcoming Sri Lanka trip, and finally stumbled across this. it answers every question I may have had, and introduced things I hadn’t thought of. I’m even more excited to see this Pearl of the Indian ocean now. Keep up the great site! Thanks so much! We’re glad you found our guide useful. Felt happy to going through your happy journey experience…. We two are also backpackers, we traveled most of the areas in India…Now we need your support and guidance at priority…. This the first time we are going to use our passport for travelling foreign country, We don’t have much knowledge about travel procedure in foreign country.. I understand the process of ETA online visa processing …..It is been mentioned srilankan immigration website that.. one who travels to srilanka should carry onwards and return ticket and Sufficient amount money..
My First Question is: We are going to stay for 10 days, What is the sufficient money? How much money do we need to carry minimum? What proof we need to submit for showing our money balance in immigration???? My Second Question: We are interested to visit War Held area… in Particular we are looking visit Terrorist Prabhakaran Hideout Den in north side of srilanka (at Puthukuttiyuruppu)…. a) How to reach their ?? b) Do we need any pre permission from army people to visit that location ?? Anyone kindly support us by replying me this Big Doubt (for us)…. That is very exciting that you are planning to travel to Sri Lanka! Yes, you will need to show them proof of a flight out of the country. To show them sufficient funds, you can print off a copy of your bank account balance to prove that you have enough money to cover the journey. Also, if you have a credit card. Often (usually) they don’t ask to see proof of funds. I’m sorry, I’m not sure how to reach the areas that you want to go to, as they are not typical tourist spots. I would suggest asking at your hotel, or at tour agencies, and ask the locals when you are in Sri Lanka. good information. I’ve never been to srilanka. and I plan to be traveled to one of the countries in Asia with family and my children. 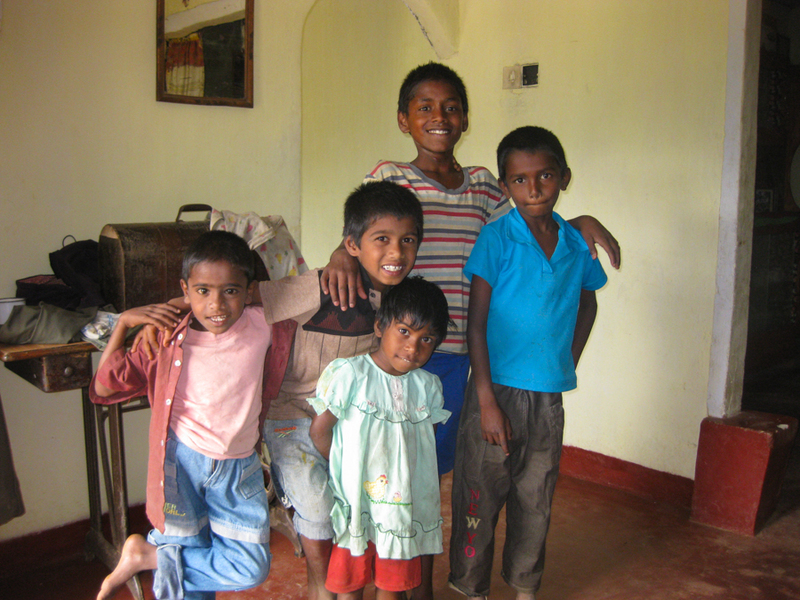 think how the tourist accommodation for children in srilanka? is it good enough? I was very attracted to srilanka because reading your post. and there seems to provide an interesting experience with a fairly low cost. nice share. Sri Lankans love children! Also, the accommodation options are great – you can have everything from a beachside bungalow to an upscale hotel. I would like to attend a cooking class but havent find many options. Do you remember where did you take yours and the name? Great blog! I am going for 10 days over Christmas and NYE. Is it a safe country for a woman to travel alone? The usual precautions apply, but we haven’t heard of any women having issues there. How long did you spend in sri lanka??? I am looking for somewhere to travel to alone. Do you think Sri Lanka would be a good place to meet people and make friends, or would I be better off going somewhere else? I too am jetting off on my own to Sri Lanka and then India. Having never traveled by myself I have got to say I am very nervous and it does feel a bit like jumping in the deep end. But from everything I have heard and read, travelling by yourself you will be forced to meet people for company who you might otherwise have passed you by if you were not alone. Being a lone traveler also makes you more approachable to other people in a similar boat. I would suggest researching the main back packing areas or travelers hostel in your first destination (probably Colombo?) where you might be able to meet a travel companion. The place I am looking at now is the Colombo City Hostel which has great reviews as being a great place to meet backpackers and also get advice on your trip from staff and other backpackers. I am sure there will also be other places like it. Hi.! Me too travelling to Sri Lanka on my own in the first week of December. Main motive is to explore as much as I can and to meet more and more people there. Hi, im planning a 2 months vacation next summer and Id like to spend about a month in sri lanka. I dont really know where to spend the other month so I was wondering if you have any idea of countries around that would be interesting to visit for a month and easy to travel to from sri lanka. Thanks a lot! 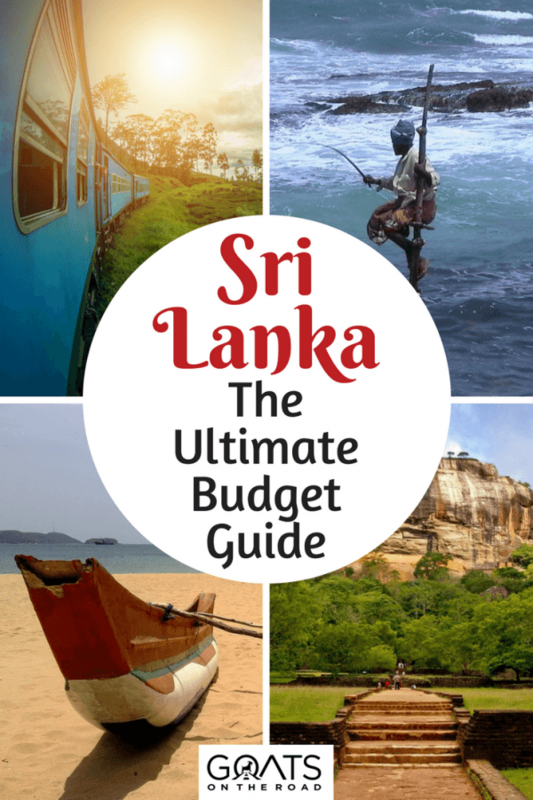 This is a great guide about Sri Lanka. One more thing, travellers may notice that most of the villages may not say “Thank you” when and where you deserve it. Don’t worry about it, that is why they greet you with a smile. The way they smile, the gesture indicates how thankful they are. You can also smile back. A smile means a lot! Thanks for sharing this informative blog. it seems very helpful. Hi, there is finally an islandwide taxi sharing resource at srilankataxishare.com. It is run by the Arugam Bay Traveller and seems to be working well. We’re an Australian couple planning on backpacking (on a budget) Sri Lanka and southern India in October and November. We both don’t eat meat (incl. fish) and were wondering how accessible vegetarian food is in Sri Lanka, particularly in the coastal regions. Vegetarian food is in abundance in Sri Lanka and India. Many Indians are vegetarians. You’ll find lots of chick pea curries, cheese curries and lentils. Enjoy! Hey guys, how long did it take for your Sri Lanka tourist visa to be accepted when you applied? And also your Indian? I’m planning a spontaneous trip to Sri Lanka and India from the very end of Jan/Feb to April 10th. So now I need to get 2 visas applied and accepted before I leave! I’m Canadian but currently living in Wellington, NZ. Thanks! Also, I love how helpful your whole website is, such an easy layout and it’s got everything I need to know. I really appreciate your hard work to make ours easier! Superb guide guys.! really helpful and much needed… Useful for future trvellers to Sri Lanka. Lots of details are included…. The pictures explain more about Sri Lanka..I totally agree with this guide. Sri Lanka still is one of my favorite backpacking destinations. Beautiful nature, lovely culture and so many cool things to visit. I actually lived there for 6 months in 2016, so I know a lot about the island. I am planing my first backpacking trip for February and was wondering if Sri Lanka would be a good destination for that, especially regarding safety as a female alone. If yes, where is it easiest to meet other backpackers? If not, where else would you go in Asia?